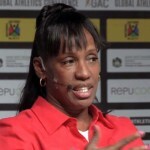 Jackie Joyner-Kersee ranked among the all-time greatest athletes in the women's heptathlon as well as in the women's long jump. She won three gold, one silver, and two bronze Olympic medals, in those two events at four different Olympic Games. Sports Illustrated for Women magazine voted Joyner-Kersee the Greatest Female Athlete of the 20th century, just ahead of Babe Didrikson Zaharias. After retiring as a competitive athlete, Joyner-Kersee has been involved with many philanthropic efforts and has joined the Board of Directors for USA Track & Field (USATF), the national governing body of the sport. She is also a popular motivational speaker and guest speaker. For details on how to book Jackie Joyner-Kersee, including information on Jackie Joyner-Kersee speaking engagements, Jackie Joyner-Kersee speaking fee, Jackie Joyner-Kersee appearances, Jackie Joyner-Kersee meet and greet, how to contact Jackie Joyner-Kersee and Jackie Joyner-Kersee agent information, contact a Jackie Joyner-Kersee booking agent at Sports Speakers 360 today! 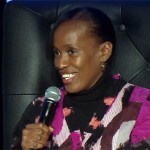 DISCLAIMER: Sports Speakers 360 does not claim to represent itself as the exclusive agent for Jackie Joyner-Kersee. Sports Speakers 360 is a sports talent booking agency that represents organizations seeking to hire athletes such as Jackie Joyner-Kersee and other sports celebrities for personal appearances, speaking engagements, celebrity endorsements and spokesperson campaigns. Fees on this website are estimates and are intended only as a guideline. Exact fees are determined by a number of factors, including the location of event, the talent’s schedule, requested duties and supply and demand. Sports Speakers 360 makes no guarantees to the accuracy of information found on this website and does not warrant that any information or representations contained on this website will be accurate or free from errors. We can help your company or organization choose the ideal athlete for your next marketing campaign. If you would like to hire Jackie Joyner-Kersee for an appearance, speaking event, product endorsement, charity fundraiser, grand opening, PR campaign, trade show or television or radio commercial, contact the booking agent at Sports Speakers 360 for more information.